Let me begin by saying engineers and designers should only use commercial 3D printers, full stop. Can people get decent results (at best) from sub US$2,000 printers? Sure, the parts resemble a distant relative of the original STL file. 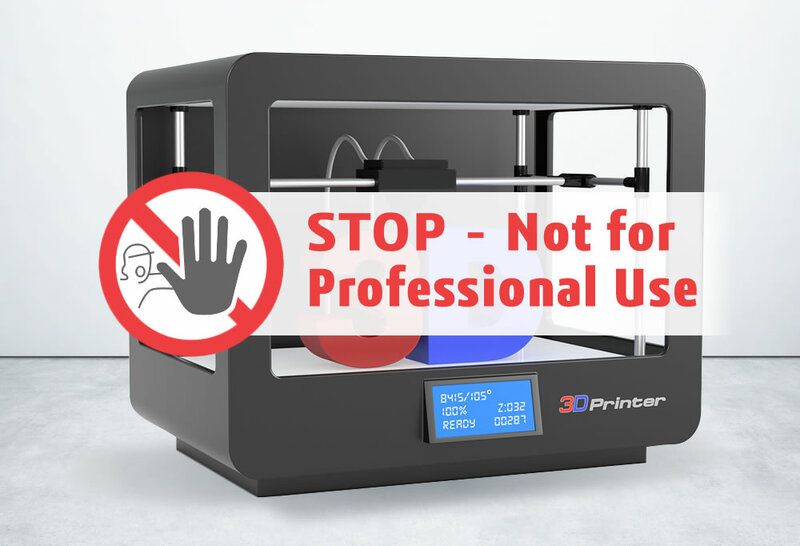 If you and your team are designing via 3D printing you really need to be using a commercial grade printer. Trying to prototype on a low cost printer is similar to trying to climb a mountain, in the rain, wearing slippers. Is it possible to climb that mountain? It sure is. Will those slippers provide you with the traction you need to grip on to the slick, muddy rock faces and support your ankles to avoid sprains? No they will not. The same goes for 3D printing. If you want reliable, consistent, and detailed parts with excellent surface finishes you need to use a commercial grade printer. I’ll break down the top five reasons that come up frequently in our meetings when comparing low cost, hobbyist, printers to Stratasys machines Javelin supplies and supports to design and manufacturing companies all across Canada. Being able to print parts consistently and frequently: All of the Stratasys printers will print parts that are within ten thousandths of an inch to the STL file. I challenge a hobbyist printer to print 10 parts and have all of them come within that tolerance. No warping: Stratasys printers have been engineered to ensure the parts do not warp during the build. The parts come off the printers true and without warping. Second challenge: I challenge any hobbyist printer to print a ruler shaped print the length of the print area and show me it has not warped. Every build I have seen from sub $2K machines are always warped in one way or another. All Stratasys printers use both model material and support material: Having support material (aka scaffolding for an overhanging build) guarantees build quality. Machines that use the model material as support material produce parts with ‘scars’ on the surface of the parts. Hobbyist machines require a manual process to remove the support structure which leaves divots and scars on the surface of the part where the scaffolding held onto the part. Another win for commercial grade printers. No babysitting! The Stratasys printers are truly a set it and forget it type of solution. Every night we start prints in our lab at Javelin and we come to the office the next morning to our successful builds. The amount of babysitting hobbyist machines need is simply ridiculous. Putting a machine in a workflow where an engineer needs to supervise it simply does not make sense. Professional service and peace of mind: If your printer does break down, which is frequently with hobbyist machines, who is going to fix it? Yes, it will be you and yes it will most likely be during a very busy point in your day. With our nationwide coverage for support customers can rest assured that Javelin will provide the service needed to keep the machine running tip top. The peace of mind is worth the jump in price alone. When planning to purchase a 3D Printer / Additive Manufacturing machine, you will find capabilities and a price range wider than products from most any industry. Machines can range from several hundred dollars for a hobbyist unit to 100s of thousands for some high performance systems. It’s no wonder there is confusion with respect to the product segments. Need help choosing a commercial system? The following paper addresses the capabilities, roles and positioning of systems geared for professional use. 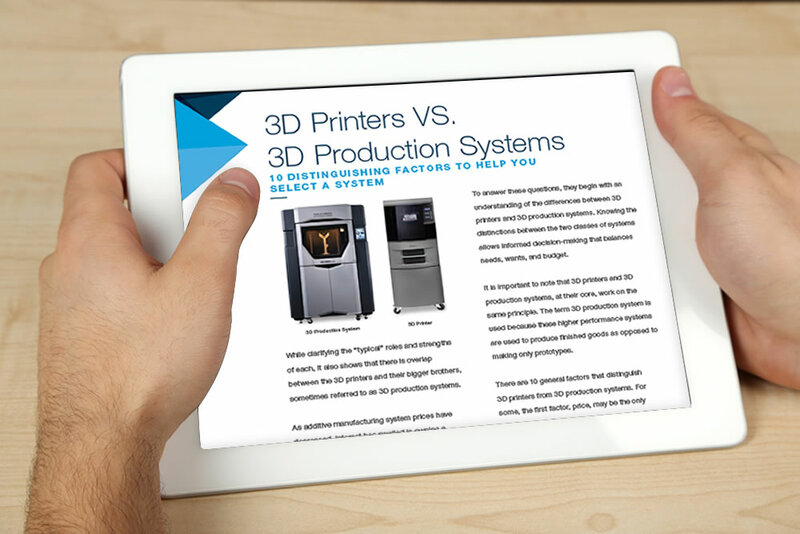 Beginning with the most basic information — the definition of 3D printers — the paper will help position the two product classes.